While HKSSDC provides debating events and workshops in collaboration with HKSDPSC for local schools, Hong Kong has its own team for international World Schools Debating Championships. Have a look at the photos and accounts below to see how the Hong Kong team fared in the World Schools Debating Championships in both 2017 and 2016. 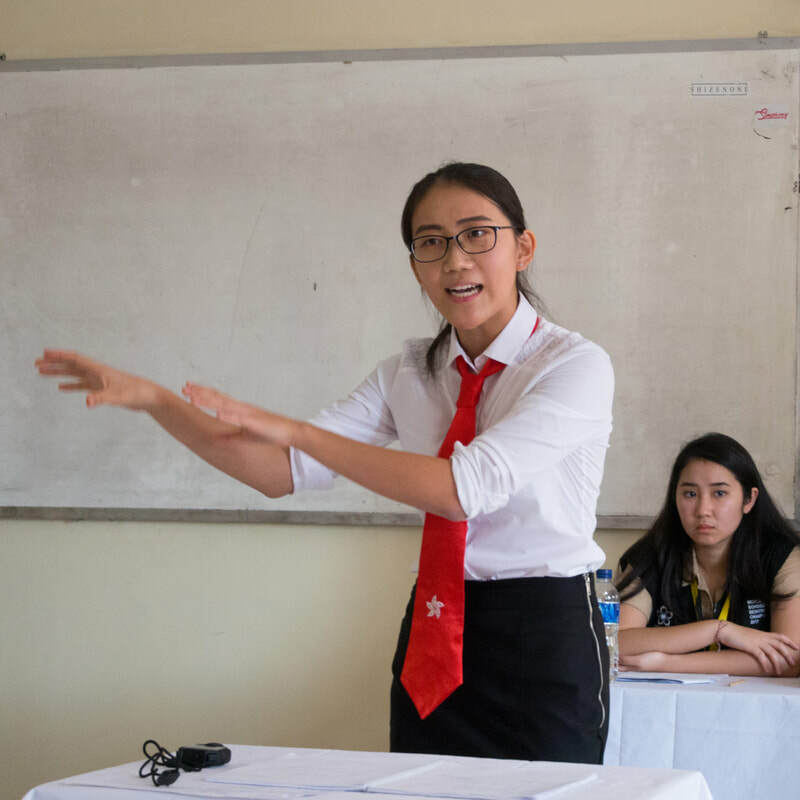 The Hong Kong World Schools Debating Team (WSDC) recently returned from the 2017 World Schools Debating Championships, the most prestigious and competitive international high school debating tournament in the world, held this year in Bali, Indonesia. After a gruelling summer training regime and warm-up friendly tournament in Thailand, the team headed to the Championships at beginning of August in an attempt to better last year's 4th place finish, where Hong Kong broke all previous records for team and speaker performances. 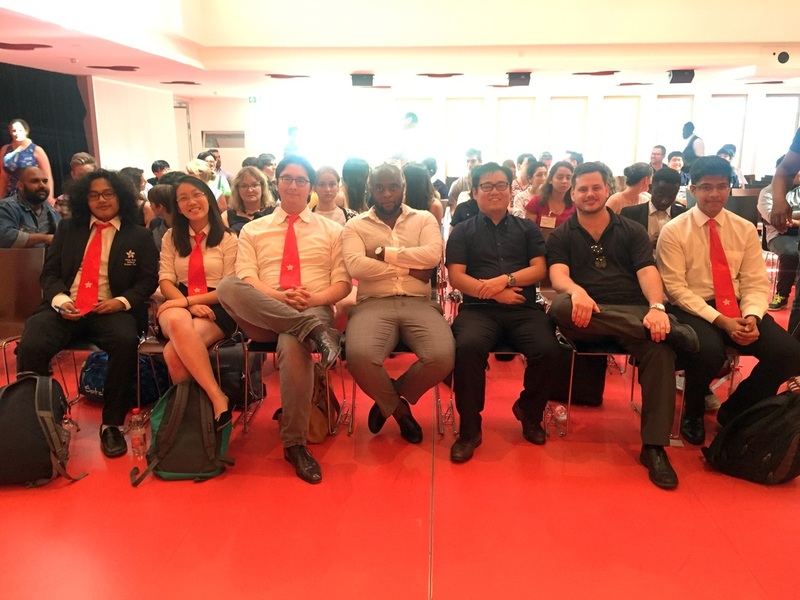 This year's WSDC team featured four speakers and two observers. Sophie Li from CIS captained the team, which also starred Yashvardhan Mehra Bardoloi from HKIS, Keshav Menon from SIS, and Sharon Chau from DGS. Bernd Wong from CIS and Matthew Ling from Island School attended as observers, helping the team with research, prep, and training all along the way. Led by head coach Greg Forse, team manager and co-coach Perry Ge, and special guest coach Phiwe Salukazana, Team Hong Kong had a superb showing in the 8 preliminary rounds and finished with 7 wins and 1 loss, a feat that has only been achieved only a handful of times. Hong Kong broke 6th out of 52 national teams in attendance, and all Hong Kong speakers ranked in the top 50 in the world. Along the way, we beat the Netherlands and New Zealand, teams against whom we had only won once in previous years. Eventually Hong Kong was knocked out in a hard-fought debate by England, last year's defending champions and finalists again this year. Overall, Hong Kong had an excellent tournament: we performed admirably, learned a lot, and had an incredible time in Bali. ​On behalf of the entire WSDC coaching staff, we're immensely proud of the team. We wish Sophie and Yash all the best as they head to university at Princeton and Harvard respectively. To the rest of the team, keep climbing, fight hard again for a place on the team this year, and let's hope Hong Kong continues to reach new heights at WSDC Croatia 2018 as we cement our place as one of the best teams in the world. 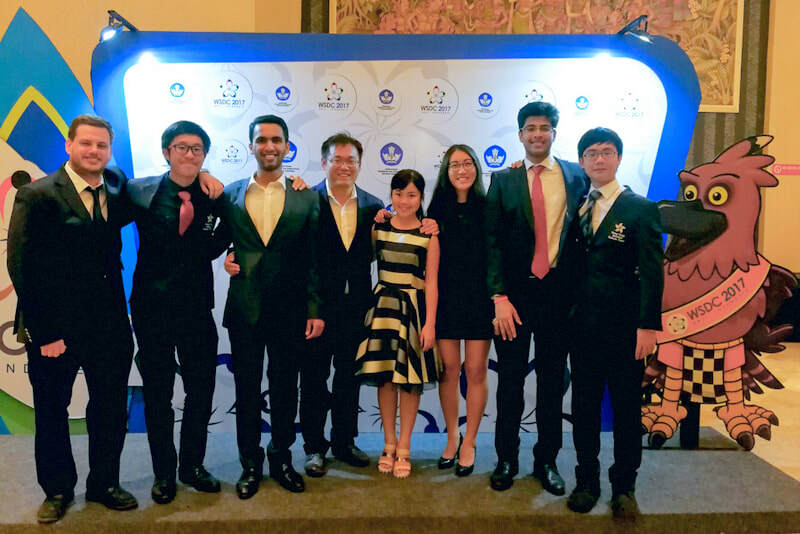 Team Hong Kong this year recorded its biggest and most exciting success at the world schools debating championships. The team was selected (from the original 12 person squad) in Easter of this year and spent the post exam summer training extensively. The team was composed of Eliot Chen, Ian Wu (both GSIS), John Yap, Sophie Li (both CIS) and Ariq Hatibie (SIS). The team reserve was Keshav Menon (SIS). 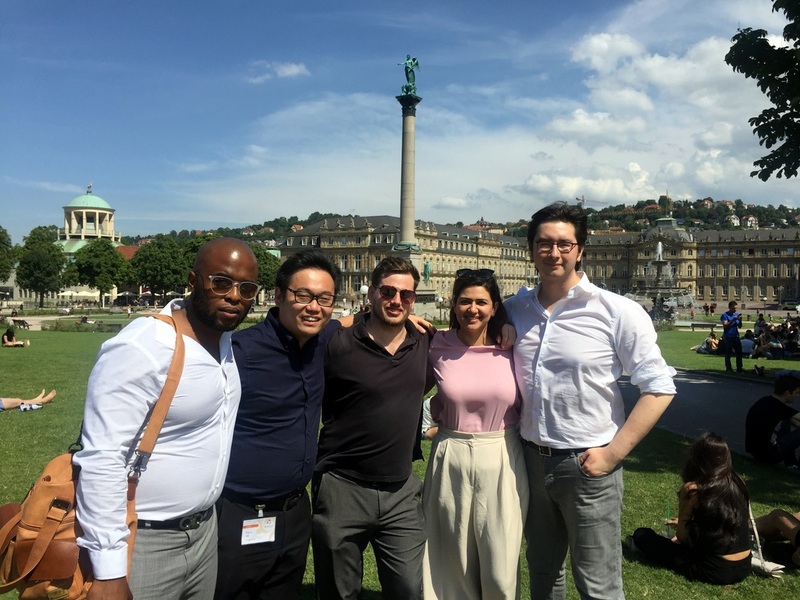 Having trained their hearts out this exceptionally talented team travelled to Germany looking to equal the previous team's results of having broken through to the knockouts in first place. The team had one of the toughest draws at the tournament hitting such teams as Romania (Prague spring champions), Wales (2012 grand finalists), Scotland (two time world champions), Pakistan (100% record against HK) and South Africa (2014 finalists and one of the best teams in the world currently). Team Hong Kong held its own staggeringly well defeating all of the above with the exception of a very close 2-1 loss to South Africa. Team Hong Kong broke 4th (3rd highest ever) and had the second highest speaker points in the tournament upon breaking (best result ever). Upon breaking team Hong Kong met Estonia in the octo-finals and beat them 3-0 to advance to Hong Kong's 3rd ever quarter final and in doing so equalled the furthest Hong Kong has ever been in the tournament. The Quarter final against New Zealand was one of the best debates of the tournament and in a stunning performance Hong Kong defeated New Zealand (who also had a 100% record against Hong Kong prior to this) 5-0 and advanced to the team's first ever semi final. Team Hong Kong met team England in the semi and lost an excellent debate 3-2. England went on to win the tournament and were crowned world champions defeating Canada the day after. In the final speaker points Hong Kong had three speakers in the top ten (another record) with John Yap ranking 5th, Ian Wu ranking 4th and Captain Eliot Chen ranking 2nd (the highest ranked Hong Kong speaker ever). Overall the team cemented its position as the best Hong Kong team so far by a clear margin and head coach Greg Forse as well as assistant coaches Perry Ge and Phiwe Salukazana are honoured to have worked with such a group of students.